Many patients don’t realize just how important it is to use the right toothbrush. They rely on the sample received after a 6-month dental visit or pick up a cheap option at the local grocery store thinking that all toothbrushes are basically the same. This is simply not the truth. While using a manual brush is better than nothing, many oral health care professionals want their patients to make the switch to electric. These brushes help ensure patients get their mouths as clean as possible—reducing their cavity risk and the likelihood they’ll develop gingivitis. Why you should go electric? These brushes do the work for you. 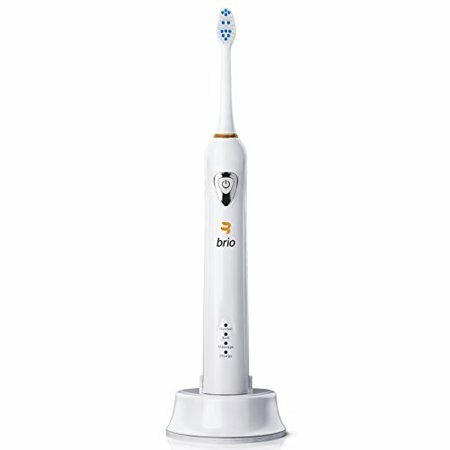 Many even featuring a timer to ensure you brush for a full two minutes, as well as a pressure indicator light to let you know when you’re brushing too hard and possibly damaging your gums. It’s brainless brushing; all you have to do is move the brush from tooth to tooth. It can also help improve recession and sensitivity from improper brushing and eliminate stain removal. They are great options for children too, especially if they have braces. Elderly patients with dexterity issues can benefit from electric toothbrushes. Since many older patients can’t move their hands the way they need to, they’re likely leaving plaque behind. An electric version cleans their teeth for them, so as long as they get it close to where it needs to be, it’s going to remove plaque and help prevent problems. Anything that helps your teeth outlast you is a worthwhile investment.